Man, I really messed up at my job yesterday. I'm an instructor for the American Red Cross, primarily teaching First Aid of various stripes. Yesterday I had two classes, one at a business out of town which went well and one in Vancouver, Washington that did not. The Vancouver class went wrong mostly because I tried to run it from Portland, Oregon. I wrote the wrong destination down, completely my own fault. When the courses' start time came around I thought, "this sudden rain storm may have bogged down traffic." When the call from a student came in asking where I was I thought, "Oh man, I'm an idiot." Now, many times people sign up for my classes at the tail end of a deadline for work. There's a standard rescheduling/refunding method for classes but I knew many people could have a problem if they didn't get certified right away. I asked if people could wait for me. Google claimed it would take me forty minutes to arrive and then I'd have about fifteen minutes of gear set up to do. The students said that Southbound traffic is easier (Google claimed it would take them 20 minutes to arrive) and, since I was already set up, things would get started much quicker. More than half the class decided to drive down to me. Ten minutes after that decision I received another call. There was a man threatening to kill himself on the Interstate bridge between Vancouver and Portland. Police had stopped traffic in both directions. All of the students were stuck on that bridge for an indeterminate amount of time. The night continued to run just as smoothly as it began. I ended up training a few people in Portland, driving to Vancouver and training another man there, and then writing up an after-action report to document my foolishness for Red Cross records. Why am I sharing this? Because I feel fine. When I received the initial call revealing my mistake, adrenaline flooded my body. In the past, that initial embarrassment would have blossomed into a panic and shame that would have crippled me in the moment and followed me for days. Not anymore (perhaps I should simply say, not this time?). I had, and have, genuine concern for my mistake and for those it affected. That's why I spent the evening getting as many people certified as I could. It was all I could do. The students didn't need me to feel bad, they needed me to certify them. I was very apologetic, sincerely so, but when it came to my job I was confident, instructed them without cutting corners, and just got things done. It was Stoic practice that allowed me, a person who spent much of life crippled by anxiety and a resultant fear of embarrassment, to turn an unfortunate event into a somewhat better event. 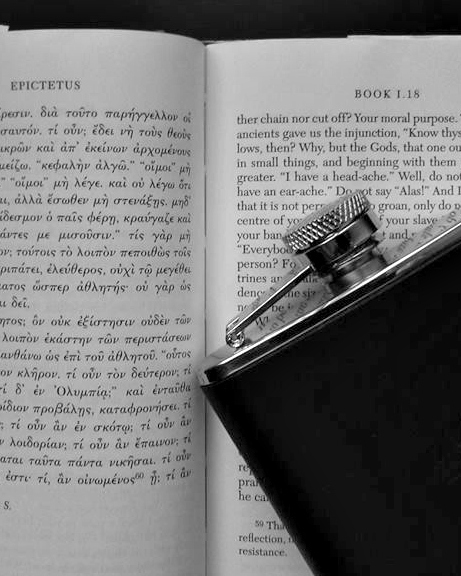 It was small daily attempts to not just read words but embody the Stoic mindset that allowed me to do what Marcus Aurelius advised and, "not...feel exasperated, or defeated, or despondent because your days aren't packed with wise and moral actions. But to get back up when you fail, to celebrate behaving like a human --however imperfectly-- and fully embrace the pursuit you've embarked on." I know I'm writing like I triumphed over an invading army when all I did was clean up my mess as best I could. I just want it documented that Stoicism changed me. For all it's smallness and all the grace that other people are often willing to give, mistakes like yesterday's used to leave marks on me. Waking up unscathed is worth celebrating. If you have similar issues with personal mistakes, Episode Eight of Good Fortune, "When We Stumble," might be for you. Podcast here. Transcript here. Posted in Depression and Anxiety, Stoic Perspective and tagged with mistakes, screw up, overcome, calm. March 23, 2016 by Matt Van Natta.